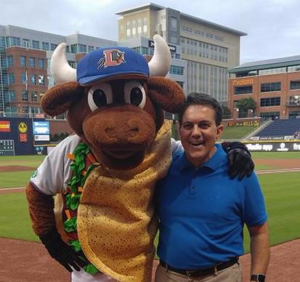 Last night a name familiar to the state’s electric co-ops got top-billing at the Durham Bulls game: Brady Martin, manager of Marketing and Economic Development at Halifax EMC, performed the national anthem to start the game. Auditions were held in March, which Martin attended after encouragement by family and friends. A video of the event is available on Halifax EMC’s Facebook page.